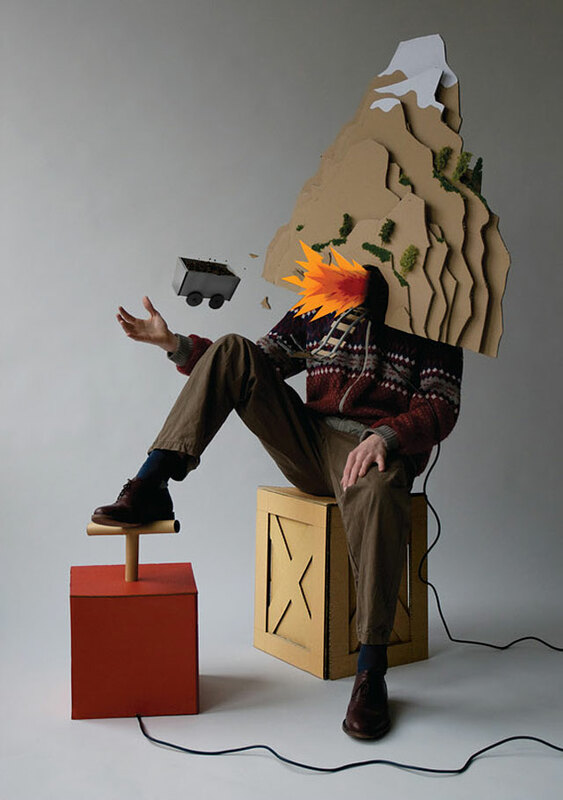 WooJai Lee is a Korean-New Zealander designer based in Eindhoven, Netherlands, who explores how to recycle paper in more sustainable ways. Paper, as we all know, is one of the easiest items to recycle. However each time it is recycled, the natural fibers get shredded making them smaller and weaker, until eventually the fibers are just too weak to work together. 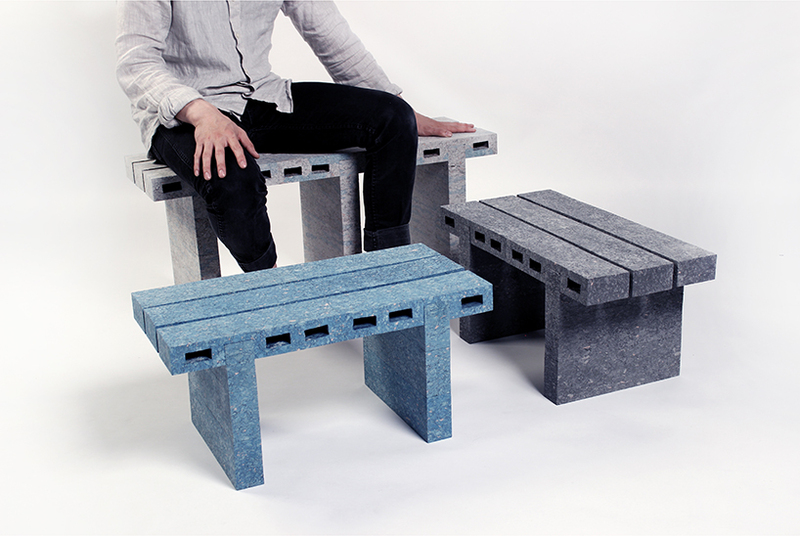 WooJai aims to extend its usability through his concept entitled PaperBricks, which explores how we could use recycled paper as a durable material strong enough for us to build furniture, or in construction of elements within the home. ‘Paper Bricks’ are made from recycled newspapers. Sturdy and stackable like real bricks they combine a pleasing marbled look with the warmth and soft tactility of paper or wood. 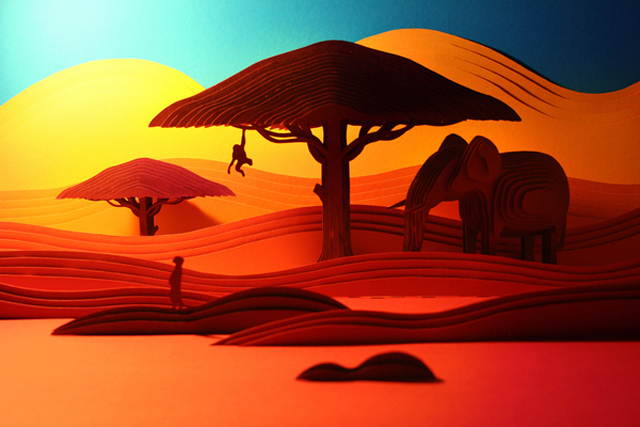 Nick Meeuws, a Netherlands based designer, has created this extensively detailed landscape of the Savanna complete with and elephant, meerkat and monkey. Also with the perfect colors and gradations to really make you feel the heat of the desert and sun. 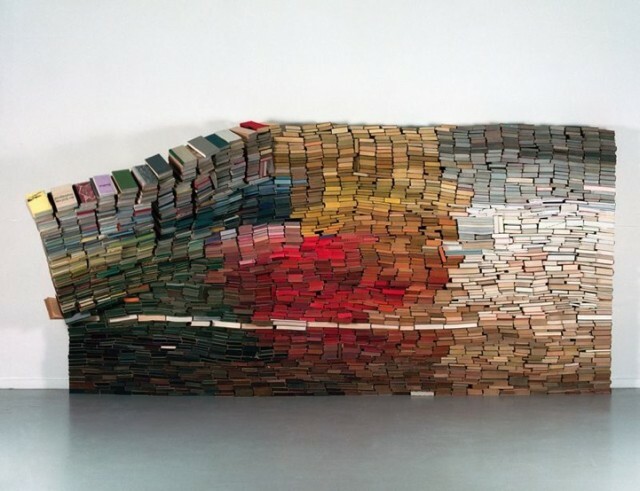 He used a layering technique which adds depth to the piece making it more three dimensional. Netherlands-born Anouk Kruithof has created this wall which consists of more than 3,500 colorful books, entitled . Each book is stacked and precariously balanced in a rectangular pile. She builds many sculptures and minimalist structures with the beliefs of the infinite possibilites of photography and what she can capture through her camera lens. 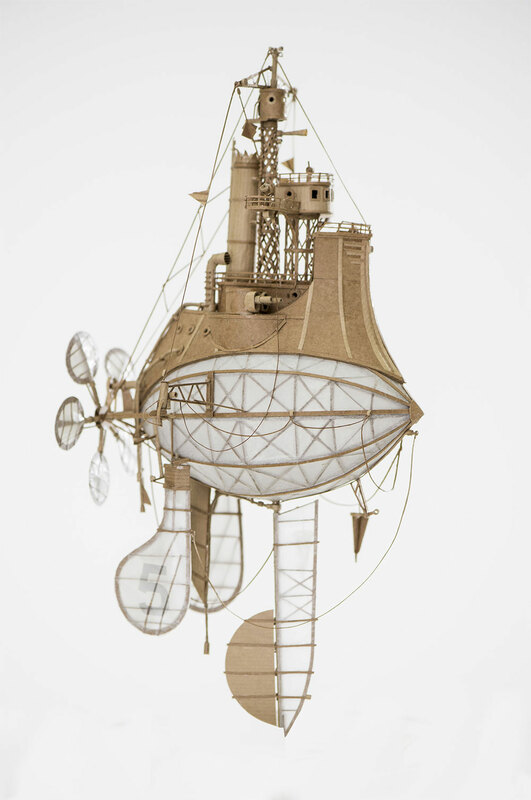 There have been several different paper birds featured throughout the site, this however is one that I have never heard of. The Tomtit is a bird within the Australian robin family that is generally found in New Zealand. 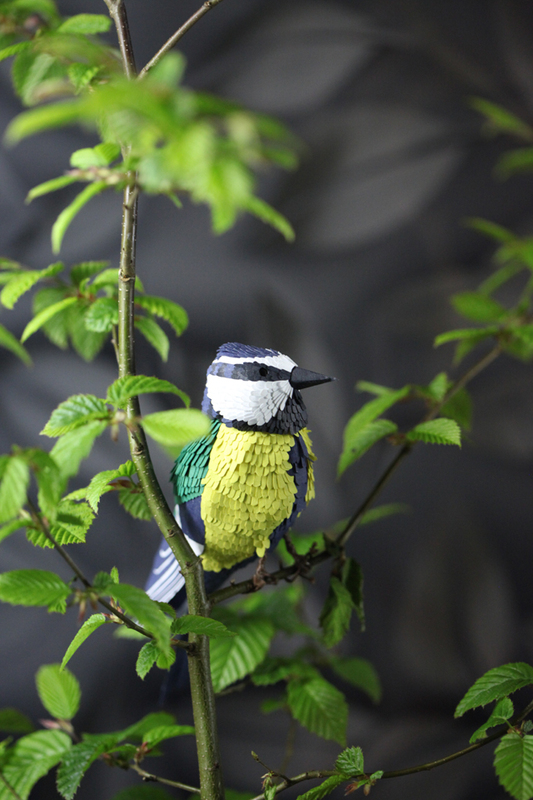 Haarlem Netherlands-based artist Kiki Peeters, inspired by trips to taxidermy museums, has created her paper crafted rendition of the Tomtit. This sculpture uses several different layers mimicking that of the layers of feathers found on a bird achieving a life-like quality overall. 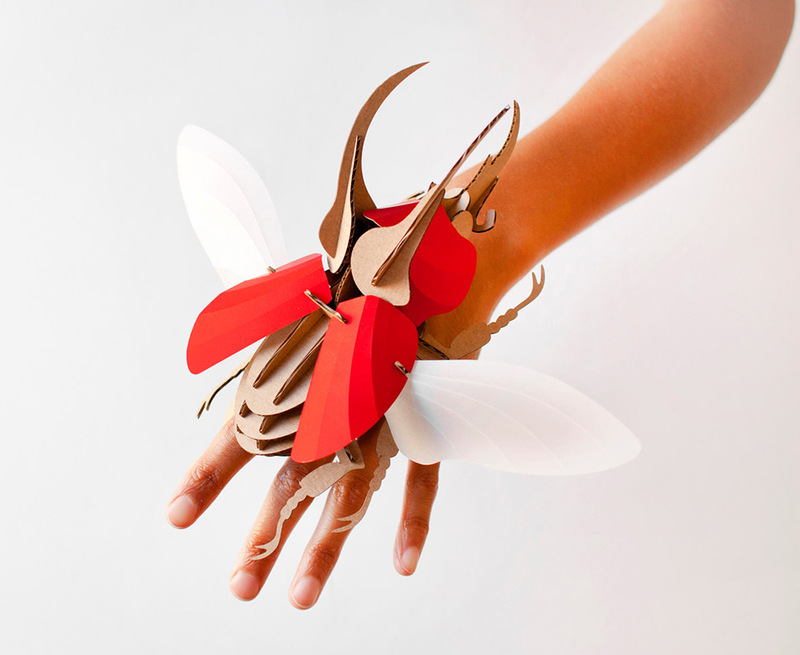 Be sure to check out her site to see more of her paper crafted animals. There is a sneak peek of the tiger below. Hello paper lovers! We have been wanting to do this for quite some time now and what better way to ring in the new year than with some of the resolutions that you had for yourself?! One of those resolutions is to start interviewing our beloved artists so you, our viewers, can have a more in depth look into the artists lives that we know -- and don't know -- to see what makes them tick and other various questions that may pique our interest. 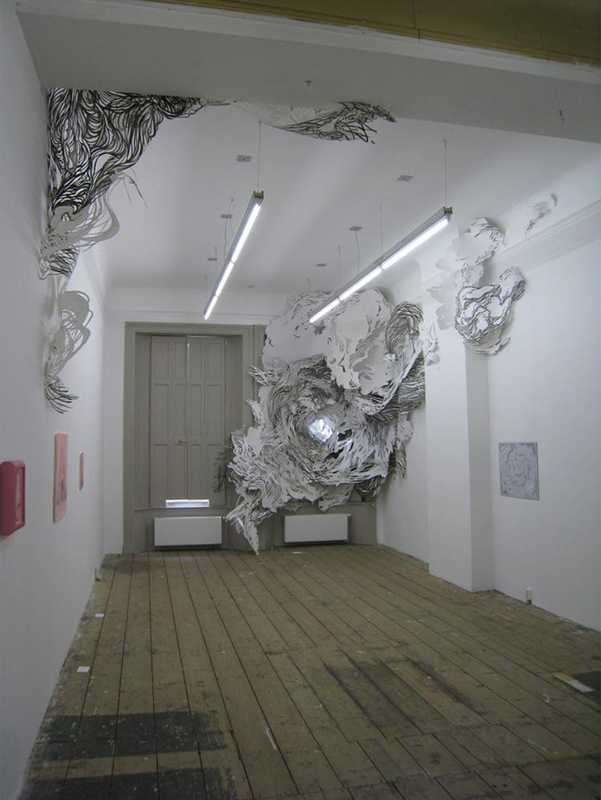 The artist that is being featured for our very first interview on Strictlypaper hails from the Netherlands and honestly no words, or at least my words, can describe his incredible talents as a painter and paper crafter. 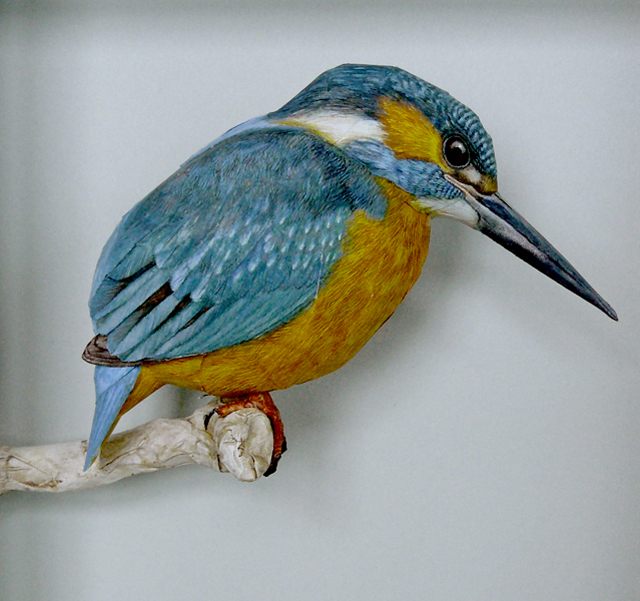 He meticulously paints these realistic and life sized animals and upon completing the craft they look as though they would fit seamlessly into nature. Without further adieu I present Johan Scherft. Click through to check out the interview. Just when you think you have seen it all, another technique that I have yet to see. 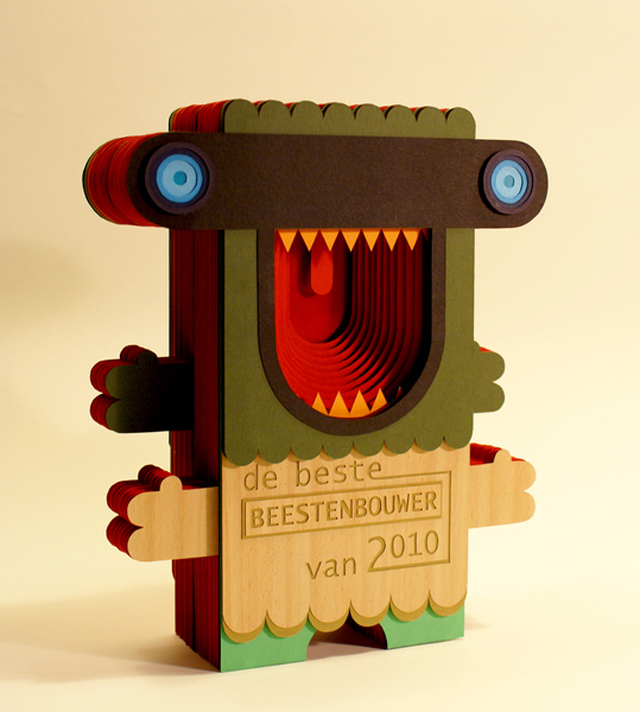 Sigrid Spier, from the Netherlands, has created an award for Best Beast maker by stacking layers of paper to make it 3D.